Give your bees a watering hole that won’t go dry very quickly! Get a painter’s bucket and fill the bucket with water. 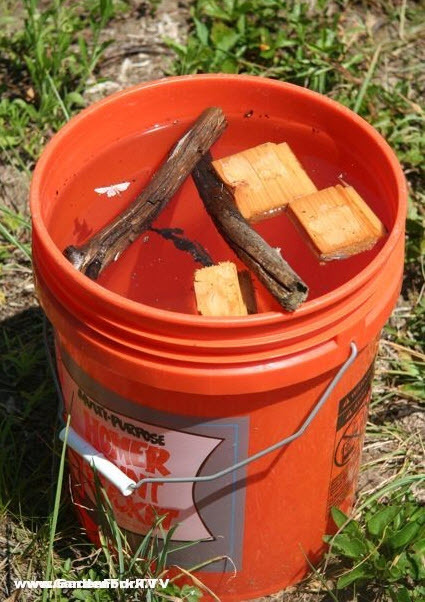 Put several sticks or blocks of wood that float in the water. Set the bucket near your bee’s hive or in a location they can easily access.